When the web was in it’s early stages, it was easy to have your site be at the top of the search engine rankings. Now, the requirements for search engine optimization are ever changing. Simply existing and submitting your website to a search engine isn’t enough. 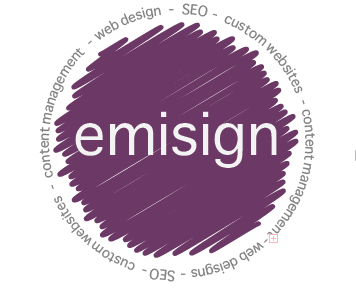 Emisign has partnered with Tintero Creative to evaluate your website and offer recommendations on how to improve you visibility through optimization and social media. Contact us today for more information on how to optimize your site!